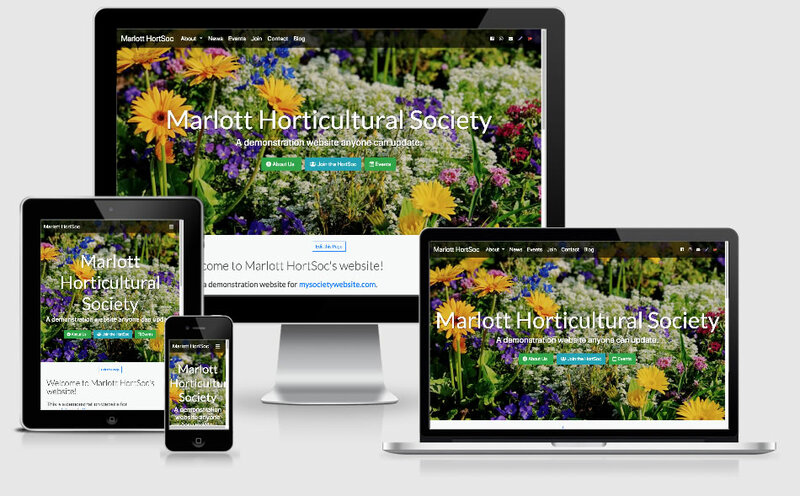 My Society Websites: Create your own website for just £10. Why choose a MySociety Website? Update your pages yourself with text and images. Your website will automatically show future and past events. Add upcoming events, trips, speakers or AGMs. We have a 30-day no obligation free trial! Update your site as often as you like! You don't need complicated technical skills to update your website. Just type in your text and you're done! Update your website 24 x 7. Connection to a domain name. Links to Facebook, Twitter & Instagram. We can set you up with a no-obligation trial. Call us, or send us an online request. Check out some example websites. An imaginary society with events, speakers and visits. 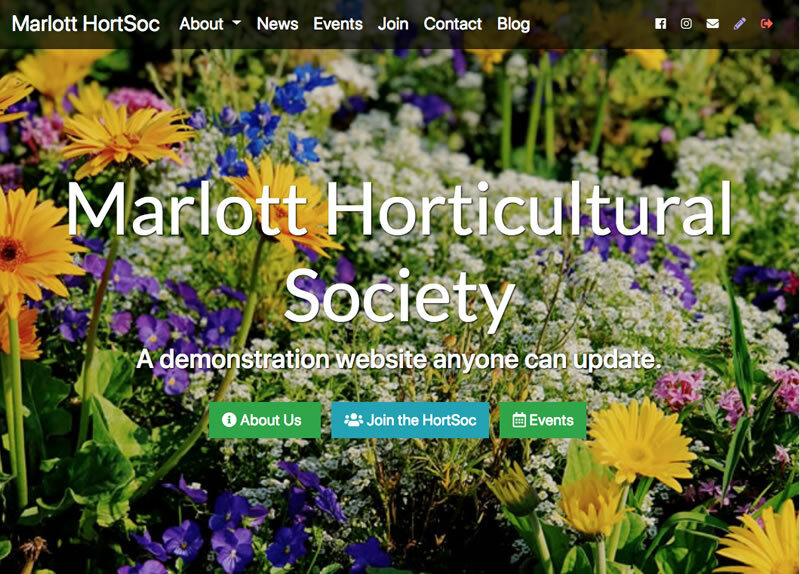 An easy to update HortSoc website. 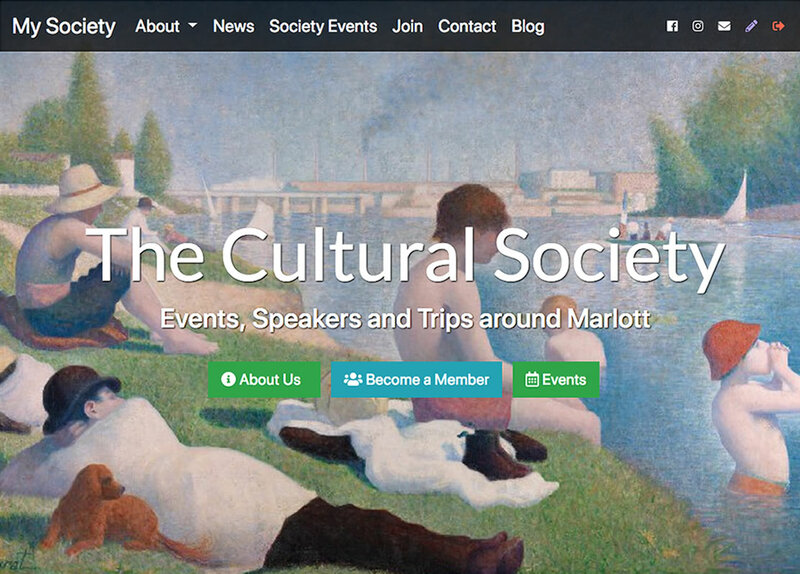 Get your society or group online at a low price: just £10 a month, paid annually. Use our 30-day no-commitment free trial. You don't need to pay in advance. After your evaluation period, we're confident that you'll want to use our services!